If a car could drive itself to pick up a passenger on command, it is likely that fewer people would own a car. Many companies think the future of vehicle-based transportation is on-demand fleets of autonomous cars that customers order using their mobile devices. If true, this would upset existing business models that depend on selling straight to the consumer, and put ride-hailing companies like Uber in direct competition with automakers. Some state lawmakers have proposed legislation that would only allow automakers, as opposed to the companies developing self-driving technology but not cars themselves, to test these on-demand autonomous fleets on public roads. Such restrictions are not only anti-competitive by giving traditional car companies an unfair advantage, but they could be a step backwards for autonomous vehicle safety, as they would stall the efforts of many legitimate technology companies from collecting, sharing, and learning from real-world vehicle safety testing data. Lawmakers in Georgia, Illinois, Tennessee, Massachusetts, and Maryland have all introduced bills modeled after Michigan’s Safe Autonomous Vehicle (SAVE) Act, which the state passed in December 2016, to regulate the testing of on-demand autonomous vehicles on public roads. 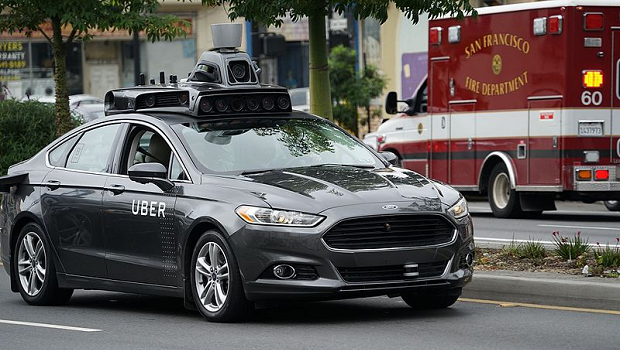 These bills are intended to protect public safety, as they would rightly prevent fly-by-night companies from putting unsafe self-driving vehicles on the road. For example, the legislation requires operators to carry liability insurance, provide advanced notice of autonomous vehicle tests, comply with laws governing motor vehicle operation and traffic, and collect and report safety data. These are reasonable safety requirements and any company testing autonomous vehicles should have to meet them. However, these bills are flawed because they strictly restrict testing to “motor vehicle manufacturers.” This means that technology companies—which are just as invested in seeing safe autonomous vehicles on the roads as traditional automakers—would be restricted from road testing their autonomous vehicle technology. For example, an automaker, such as GM, would be free to experiment with autonomous vehicles on public roads, which it plans to do through a partnership with Lyft, while Uber, Waymo (Google’s self-driving car project, now a standalone company) or any company that only develops on-demand autonomous technology but does not make the cars themselves, would not be able to do so. After receiving criticism about the anticompetitive nature of such a restriction, the Michigan legislature broadened this language to also include companies developing self-driving systems, rather than whole vehicles. Unfortunately, the bills in Georgia, Illinois, Tennessee, Massachusetts, and Maryland have not followed suit and still use the restrictive language of the original SAVE Act. Policymakers are right to consider safety requirements, as putting unsafe autonomous technology on roads will slow public acceptance of the technology. But the best way to improve safety in autonomous vehicles is through more rapid innovation, and this will necessitate that technology companies, not just existing automakers, be permitted to test self-driving vehicles. Autonomous vehicles contain numerous sensors so whenever malfunctions, crashes, or other automated vehicle failures occur, there is a wealth of data to help understand why it occurred. The more opportunities a company has to collect this data, the more opportunities it has to improve safety. Indeed, the National Highway Traffic Safety Administration’s (NHTSA’s) Federal Automated Vehicles Policy recommends that companies have a clear process for collecting, validating, and sharing incident data from autonomous vehicles so that the entire sector can learn faster than firms could by studying their own data alone. Requiring that a technology company must manufacture cars or partner with an existing automaker if it wants to test autonomous fleet technologies is an unnecessary requirement that would limit competition and slow innovation. For example, computer vision company Mobileye would be kept from testing its collision avoidance technology. This would be like California passing a law saying that only mobile device makers, like Apple, could test mobile apps, meaning the 13 million developers working on apps for the Apple App Store could not. Given that autonomous vehicles rely on a wide variety of technologies, policymakers should be encouraging real-world safety testing among all companies that design the components that will be integrated into autonomous vehicles. As automated vehicle technology becomes more and more common, it will be a challenge for the public and private sectors alike to respond appropriately to the benefits and challenges it presents. Since 2012, 34 states and Washington D.C. have considered or passed autonomous vehicle legislation and governors in Arizona and Massachusetts have issued executive orders about them. Many of these efforts are constructive approaches to developing new regulatory frameworks to support the growth of this valuable new technology and address its unique considerations, such as by examining if any existing laws unnecessarily restrict the deployment of automated vehicles and prohibiting local governments from banning vehicles with autonomous technology. Policymakers should focus on similarly constructive approaches to accelerate the development of autonomous vehicles and avoid policies that unnecessarily restricts competition.